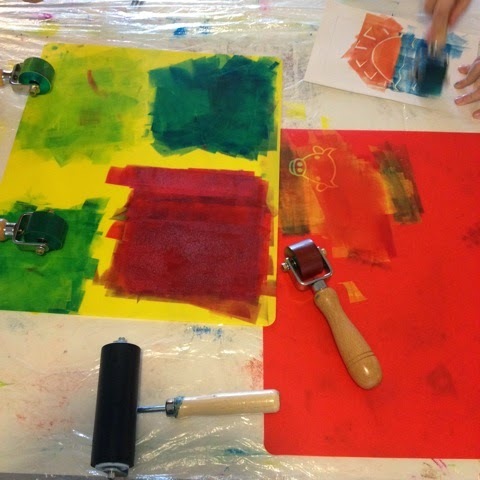 Mono Printing Children's Workshop at MAKERS! We had our very first workshop aimed at children (with their adult! 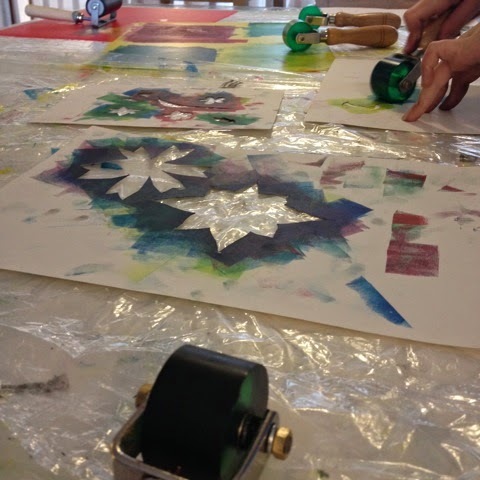 ), where some fun was had with stencils and the technique of mono printing. 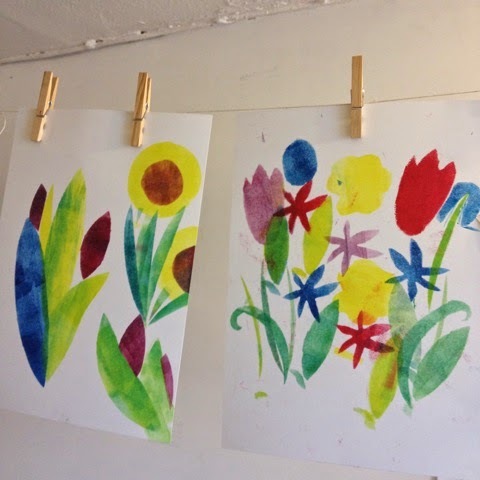 Bristol based illustrator and printmaker Sophie Rae, ran the workshop for us with her unique blend of hand drawn / stencil combination mono-printing. 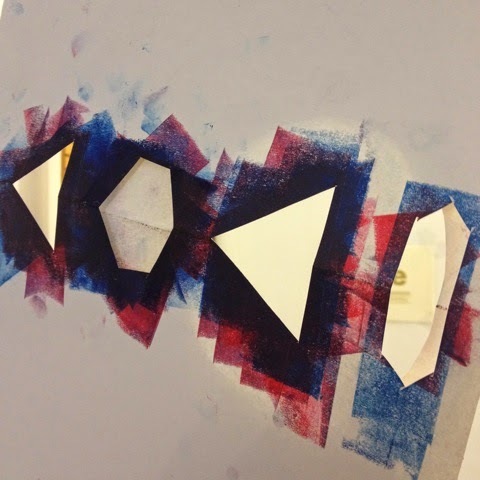 This made it really accessible and fun for the children, plus a really lovely technique to explore together. 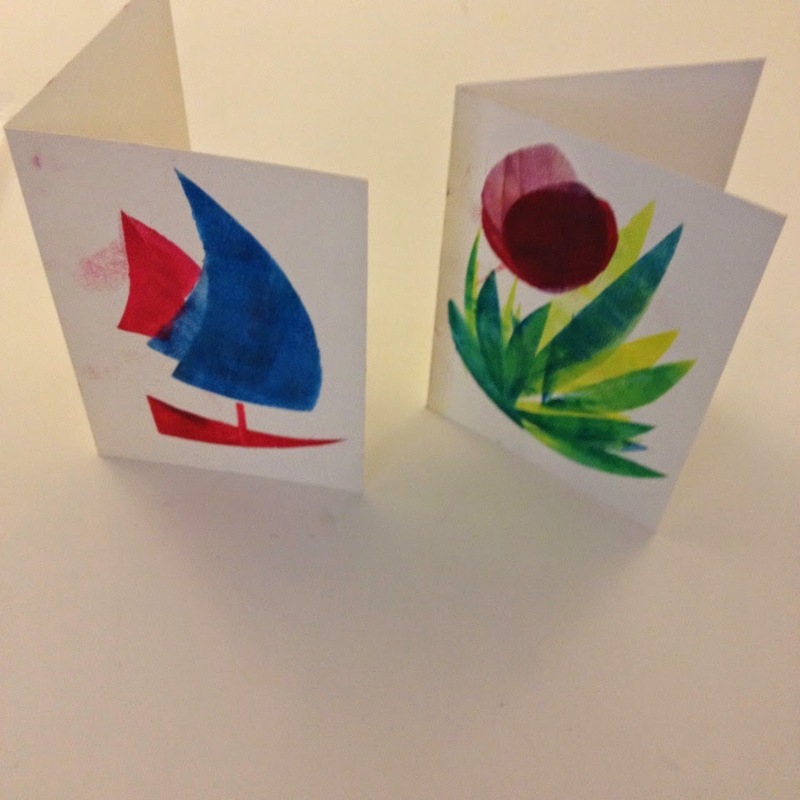 Cutting out of stencils and overlaying of colours created some sophisticated card designs from our participants (age 6 upwards). Beautiful original artworks to take home! Christmas Festivities at MAKERS 2017!